Situated in the business district, this hotel is 0.9 mi (1.4 km) from Ellingson Car Museum and within 12 mi (20 km) of Albertville Premium Outlets and Elm Creek Park Reserve. Cedar Creek Golf Course and Shoppes at Arbor Lakes are also within 12 mi (20 km). 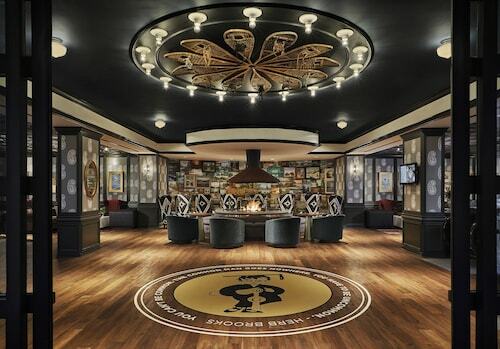 Situated in Rogers, this hotel is 0.9 mi (1.4 km) from Ellingson Car Museum and within 12 mi (20 km) of Albertville Premium Outlets and Elm Creek Park Reserve. Cedar Creek Golf Course and Shoppes at Arbor Lakes are also within 12 mi (20 km). 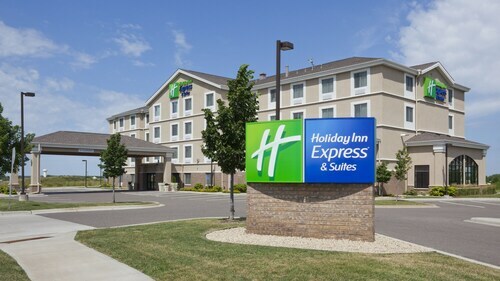 Situated in a shopping district, this hotel is within 9 mi (15 km) of Ellingson Car Museum, Albertville Premium Outlets, and Elm Creek Park Reserve. Cedar Creek Golf Course and Shoppes at Arbor Lakes are also within 12 mi (20 km). Situated in Rogers, this motel is 0.6 mi (0.9 km) from Ellingson Car Museum and within 12 mi (20 km) of Albertville Premium Outlets and Cedar Creek Golf Course. Elm Creek Park Reserve and Shoppes at Arbor Lakes are also within 12 mi (20 km). How Much is a Hotel Room in Rogers? Hotels in Rogers start at $116 per night. Prices and availability subject to change. Additional terms may apply. For those travelers wanting to unearth a base for their adventures near where it all happens in Rogers, Travelocity's booking page offers customers a few good options. 6 hotels listed on Travelocity sit within 6-mile (10-kilometer) of the city center. 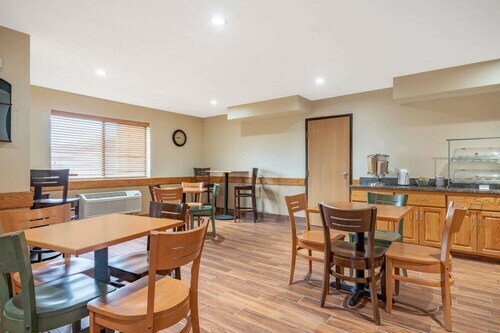 The AmericInn Lodge & Suites Rogers is a great option for your stay because it is one of the best-located rooms, one of just a few places within walking distance of the Rogers central area. 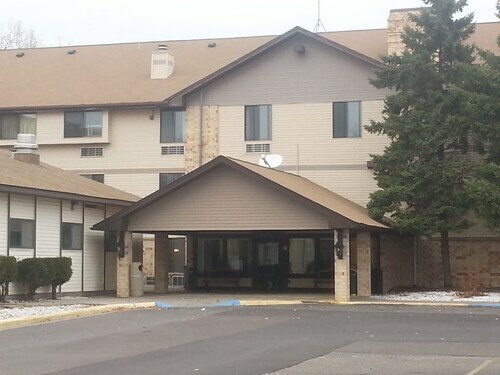 One of the small number of budget-orientated hotel options in Rogers is the Super 8 Rogers Minnesota. 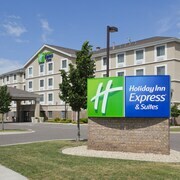 The Holiday Inn Hotel & Suites Maple Grove Nw Mpls-Arbor Lks is 9 miles (15 kilometers) away from the main part of Rogers. 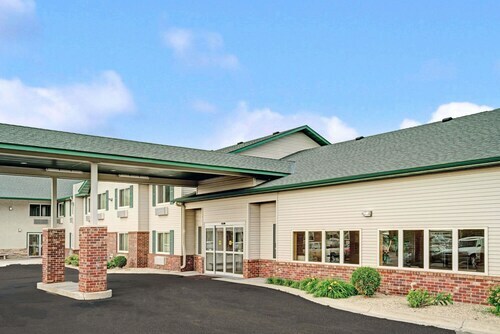 An alternative place to stay is the Staybridge Suites MPLS-Maple Grove/Arbor Lakes, which is situated 9 miles (14 kilometers) away. 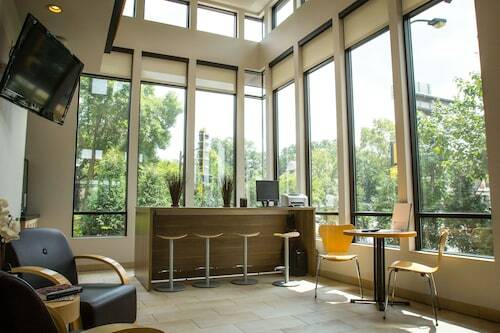 Alternative places to stay include the Homewood Suites by Hilton St Louis Park at West End and the Comfort Suites Ramsey. St. Paul is 30 miles (45 kilometers) to the southeast of Rogers and is where you'll find University of St. Thomas and Hamline University. The The Saint Paul Hotel and Holiday Inn St. Paul Downtown are some of the great long and short-stay choices in St. Paul. 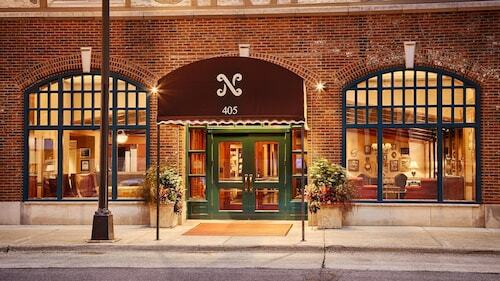 Or, you could stay the night in Hastings, 50 miles (77 kilometers) southeast of Rogers, where you'll find the Nichols Inn of Hastings and Val U Stay Inn and Suites. If you're staying in Hastings, set aside a little time to visit the Alexis Bailly Vineyard and Carpenter St. Croix Valley Nature Center. Simply because you and your family are far from home, shouldn't mean that you can't feed your love for a day watching sport. Xcel Energy Center can be found 30 miles (46 kilometers) to the southeast of Rogers. Modern visitors who like the idea of locating a hotel close to the game, book a room in the Embassy Suites - St. Paul or InterContinental Saint Paul Riverfront. Minneapolis - St. Paul International Airport is a primary entry point for those flying into and leaving Rogers. You can find it 25 miles (44 kilometers) from the city center. For wise travelers who plan to find a Travelocity-listed base nearby, read about Radisson Blu Mall of America or Embassy Suites by Hilton Minneapolis Airport.